I’ve told you before that we know what causes 95 percent of cancer. And it’s got very little to do with your family history. In fact, just because your mom got breast cancer, it doesn’t mean that you’ll get it too. A whole new generation of experts believes most cancers — the vast majority of them — occur because of “epigenetic influences.” In simpler terms, it means that factors such as your diet and your environment affect your genes. Some factors, like exercising every day, “turn on” your protective genes. On the other hand, leading a sedentary lifestyle “turns off” these protective genes. And remember , Dr. Ajay Goel? He discovered that curcumin “turns on” the genes that protect you against colon cancer. He promised to find more “epigenetic influences” on cancer. Well, Elaine Hardman, PhD, beat him to the punch. Dr. Hardman, from Marshall University, found that eating one type of snack food appears to “turn on” the genes that protect you against breast cancer. Plus, in animal studies mice fed this snack food got less than ½ the cases of breast cancer. And if they did get cancer, the tumors were smaller and less aggressive. Breast cancer is a complex disease. 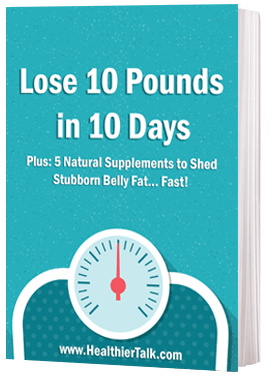 Sure, there are things you can do to improve your odds, such as maintaining a healthy weight and exercising. But even that may not be enough. Breast cancer strikes women of all shapes and sizes. Not just the overweight ladies. Just pick up a gossip magazine any week of the year and you’ll read about another lean and glamorous showbiz woman who got breast cancer. Andrea Mitchell is the latest victim. She’s fit, she’s healthy, and — yes — she’s got breast cancer. But — as Dr. Hardman found — one snack food may make a huge difference in your chances of getting breast cancer! Now, here’s the all important question…are you eating enough of it? You’ll be surprised to learn how little you may need! Dr. Hardman and her team of researchers bred mice genetically programmed to develop breast cancer. They fed half the mice a typical mouse diet. The other mice received a diet enriched with walnuts. After weaning, the mice ate the human equivalent of about two ounces (a handful) of walnuts each day. 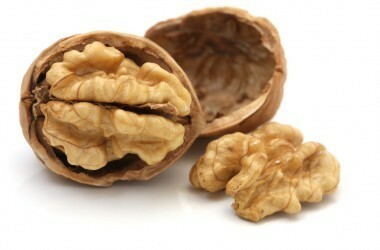 Hardman found that mice fed walnuts got less than ½ the cases of breast cancer compared to the mice fed typical diets. Plus, the tumors they did get were significantly smaller! And remember all of these mice were genetically programmed to get breast cancer. The only difference was the walnuts! Yes, this study followed mice. But the researchers said the walnut diet changed the activity of multiple genes relevant to both mice and humans! Eat your walnuts each day, ladies. They contain omega-3 fatty acids, antioxidants, and phytosterols. Sprinkle them on salads, add them to muffins, or just eat them by the handful. If the mouse research holds up (and I think it will), eating walnuts may wake up those genes that protect you from breast cancer! Vitamin D3 (along with other fat soluble vitamins) also affects gene expression, and a deficiency sets the stage for a variety of modern-day chronic diseases including cancer. Vitamin B17 = pure cianide EXTREMELY TOXIC… yes some people say that kills some of cancer cells… but not everyone is the same, it helps some people and other people die by poison. the best is eat your ORGANIC apples with its seeds. and not what they tell you in youtube or other places. Many women and men had died because its toxicity. it may kill SOME cancer cells but it doesn’t cure you. ca. cells are very variable for example: so cottage cheese may kill some of them and clementines other and… etc… it its better and more probably that can fight cancer the ESSIAC tea that contains several good fighting herbs… and if you also use : turmeric, ginger, cinnamon, cumin, thyme and oregano, and rosemary wich contain anti-inflammatory, antiviral, antibacterial, antioxidant, etc… it will be the best to fight cancer together with a change in your life: peace and tranquility, not excitement, not upseting or depress or fighting or watchin violence, not heavy exercise, good sleep, good diet, DRASTIC CHANGES… and a lot of love around you. I have seen 2 women i knew diying very quicly (less than ayear) when their husband left them (after getting sick with breast cancer) abandon them, and having no too much support from their own family, had to work hard ant take care of teenage kids etc etc… they couldn fight, their immunse system was very weak and not supporting. it is horrible when you are in this situation. 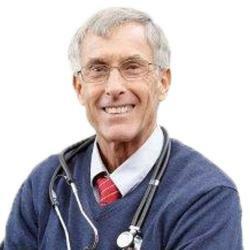 I believe in helm/cannbis oil, ONLY THE OIL (I heard personal information & advise of several people who suvived cancer thanks to it) Essiac, and the treatment other well known doctors or holitic and alternative treatments based in science and observation and good results. you are not going to be curefor example with avocados o guanavana or black cumin if you don’t add and use other typs of treatments. AND OF COURSE THIS IS MY OPINION.